Get a free PreSonus HP2 when you purchase a qualifying StudioLive Series III rack mixer or stage box. See PDF for details. 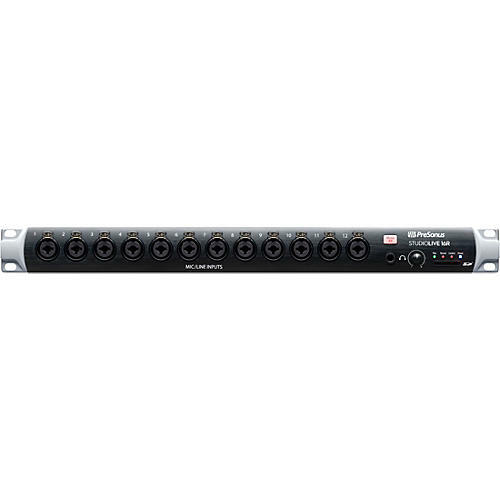 Powerful and compact, the PreSonus StudioLive 16R serves as a 16-channel AVB stage box for StudioLive Series III consoles and as a standalone, rack-mount, 16-channel, Series III digital mixer. It can operate as a simple stage box or as a combined stage box/16-channel monitor mixer, delivering a plug-in-style signal-processing workflow with studio-quality, vintage-style EQ and compression options on every channel.